Blake Mills is a name you may not have heard much but you’ve likely heard his guitar playing before. He was in the band Simon Dawes before becoming essentially a studio musician and ace for hire for touring bands. He played guitar with Conor Oberst of Bright Eyes, Pink, The Avett Brothers and even Kid Rock among others in studio sessions. He then went on the road with the likes of Lucinda Williams, Jenny Lewis and Band of Horses earning a reputation as one of the best young guitarists in the game. As part of a plan to extend his name to more people he put together a solo career as well, releasing his first album in 2010 and his sophomore effort, “Heigh Ho” in 2014. The result is one of best sounding records of this year. The atmospheric production and array of guitar techniques used by Mills will make your head swim inside the album he has constructed. The clean sound of record was obviously carefully planned and it is very much a studio record. The bouncing guitar of “If I’m Unworthy” immediately impresses the use of effects and space he takes advantage of in his music. The combination of “Seven” and “Don’t Tell Our Friends About Me” may be the best back-to-back songs on a record this year. The soft vocal approach of “Seven” and lofty pop hooks on “Don’t Tell Our Friends About Me” are a recipe that is not only pleasing but stays fresh enough that you’ll want to listen to it again and again. 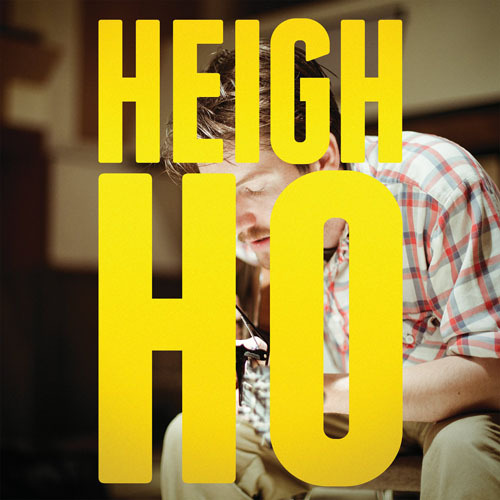 You won’t hear Blake Mills on the radio or find him in the charts most likely but if you are bored with straightforward guitar work, “Heigh Ho” is more than worth your time. This entry was posted in The Vinyl Court and tagged albums, atmosphere, Blake Mills, Dawes, Don't Tell Our Friends About Me, Heigh Ho, Jenny Lewis, Lucinda Williams, records, Seven, Simon Dawes, The Vinyl Court, vinyl. Bookmark the permalink.